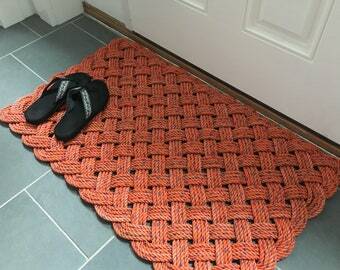 Our 100% reclaimed lobster rope rugs are one of a kind creations made in Maine. Welcome guests, dress up your entryway and brighten your floors while reducing marine waste. A handwoven nautical rug made from time-worn rope. Great for indoors or outdoors on patios, decks, showers, boats, docks, campers, RVs, etc. 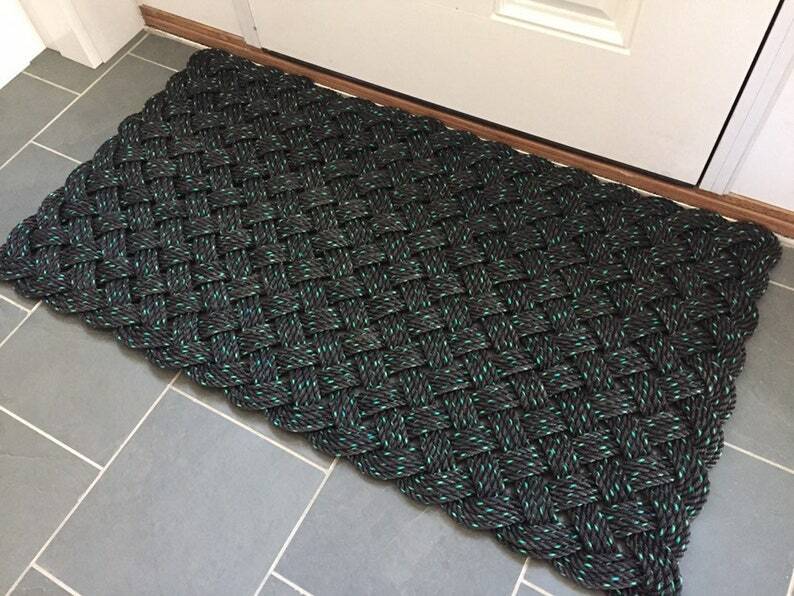 The rug measures approximately 27" x 49" x 1.25"
The rug is woven using 4 passes of reclaimed black with green tracer lobster rope. The pictures shown are the exact rug you would be purchasing.